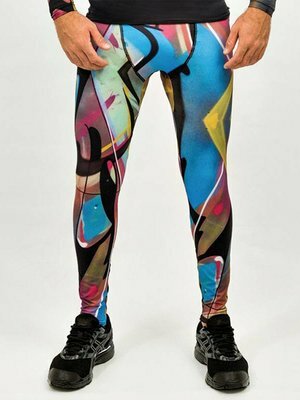 THE MEN'S LEGGING IS PROVIDED WITH A MORE PRINT BASED ON GRAFFITI ARTWORKS. 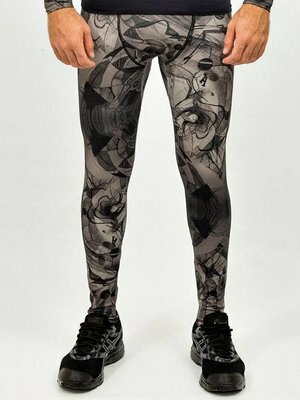 Graffitibeasts sports leggings are made of 90% polyamide and 10% elastin, this ultra light material makes you feel almost out of place and due to the cooldown effect you do not get hot or cold in the men's leggings. 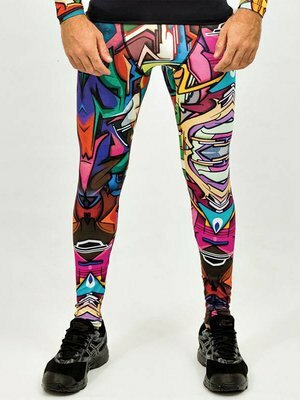 The graffiti prints are tough and unique and have their origin from a real work of art somewhere in the world. SHOP YOUR FAVORITE SPORTSWEAR AND EXPERIENCE THE QUALITY. UNSATISFIED? WITH GRAFFITIBEASTS, YOU HAVE ONE YEAR LONG WARRANTY ON THE SUBSTANCE, NADS AND PRINT AND WE PURSUE A 100% SATISFACTION WITH OUR CLIENTS. WASHING INSTRUCTIONS: ALL GRAFFITIBEASTS SPORTSWEAR CAN BE WASHED ON 30 DEGREES IN THE WASHING MACHINE. 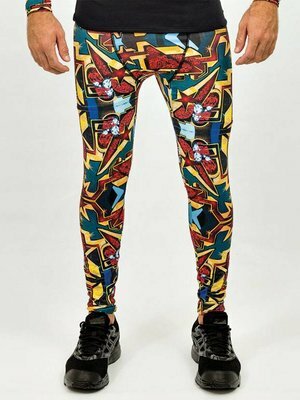 THROUGH THE USE OF HIGH-QUALITY AND QUALITATIVE MATERIAL, THE CLOTHING IS NOT SUITABLE FOR THE DRYER.